Becky Davis recently helped move a Chicago Landmark, the Garfield Park Conservatory, to a modern website using WordPress. Becky believes that WordPress and ongoing education is how you empower clients. As an active participant in the community (volunteer, and organizer at WordCamp Chicago) and leader of her web agency, Becky Davis knows all about empowering others to succeed. Becky and her team’s approach to web development provided them a way to manage their site without a website developer. Becky typically recommends WordPress. Why? Because anyone can use it to update content. And when WordPress was already being used for a blog for Garfield Park Conservatory, it was a great transition to move their whole site over to WordPress — an enterprise-level content management system (CMS). Give works with legacy payment gateways like Authorize.net and that worked for the Chicago landmark, too. Many developers will hold back the website until the site is perfect. Becky wants her clients to get into the site and learn. Leveling up clients’ WordPress skills is critical in today’s world of immediate moments. The ability to change content or donation campaigns is accomplished because of training during the development process. The nonprofit team that manages such a critical landmark is responsible for managing the website and donations, too. Prior to hiring Becky’s agency, Garfield Park Conservatory was managing their content with their host who would take days to make a change. Now, the Education Coordinator and the donation staff can manage the website, change content, and create new donation forms. 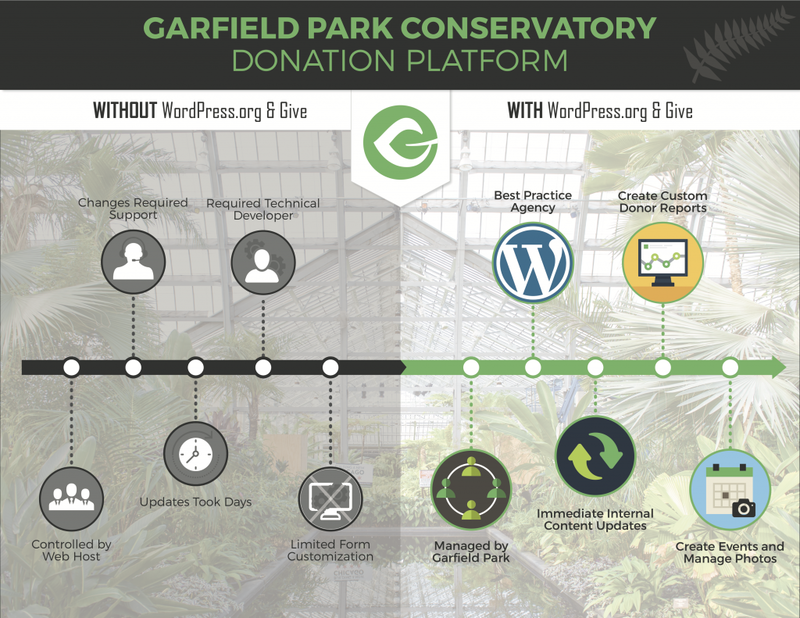 A look at Garfield Park Conservatory’s modern donation platform with WordPress.org and Give. By integrating their legacy payments system, Authorize.net, Becky Davis empowered the Conservatory to move from a legacy system to a modern fundraising platform and enterprise web property. 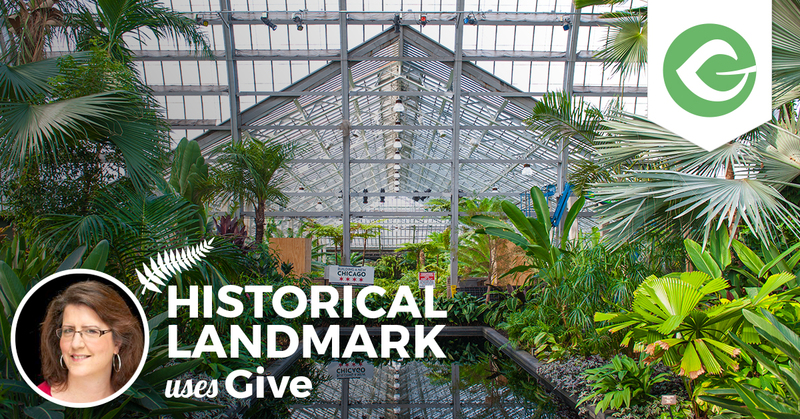 As it goes, Garfield Park Conservatory, in all its beauty and wonder, is using WordPress to empower their team and improve their online fundraising campaigns. A look at Garfield Park Conservatory’s modern donation platform with WordPress.org and Give — before and after. Jason is co-Founder and Head of Finance and Sales at GiveWP. He likes to fish, golf, run and occasionally writes about the WordPress community. Ghanshyam Vordhan on A Case Study on GoFundMe & Give: How One Memorial Fundraiser Reached $40,000 in 5 daysHello sir good evening. Is this side GoFundMe vailid for India? Subscribe for exclusive discounts, important plugin updates, and release news. We hate spam too, we'll never spam you. This is only for communications directly related to Give.